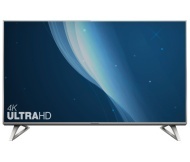 alaTest has collected and analyzed 151 reviews of Panasonic TX-40DX700B. The average rating for this product is 4.8/5, compared to an average rating of 4.6/5 for other products in the same category for all reviews. Views about the design and price are on the whole positive. The sound and usability also get good feedback, whereas some have doubts about the reliability and energy efficiency. Views are divided on the remote control. We analyzed user and expert ratings, product age and more factors. Compared to other products in the same category the Panasonic TX-40DX700B is awarded an overall alaScore™ of 90/100 = Excellent quality. With 4K HDR resolution and Freeview Play, there's plenty going for the reasonably priced Panasonic TX-40DX700B. It matches an impressive list of features with decent sound, but read our Panasonic TX-40DX700B review to see if its picture impresses, too. Wonderful picture, upscaling of HD provides noticeably better picture. Sound quality only slight draw back. Poor SD picture quality Smart TV features lacking. Other makes such as Sony have a much better offering including Android TV. I returned this TV due to poor SD picture quality, which was worse than my previous 7 year old Panasonic LCD. Didn't realise this TV had so many features. Exceptional service from the staff although I knew exactly what I was looking for and researched! I got a really good deal and with a six year guarantee. Very helpfull shop assistant, made our selection very easy. Picture not as good as my 7 year old Panasonic plasma but ok. Very easy to use but TV app on phone does not want to work anymore. Picture not as good as my 7 year old Panasonic plasma but ok. Very easy to use but TV app on phone does not want to work anymore. When it did the keyboard never worked. ease of use. , built in catch up.